Since 2016, UrbanGlass has offered Studio Residencies to artists who are already working independently in glass to continue an existing body of work or take on new projects. In 2018 we are thrilled to welcome Amy Lemaire, Anna Riley, Denzel Russell, and Wil Sideman as Residents. Denzel Russell is an artist from Brooklyn, NY. He received his BFA from Alfred University and has also studied at the Stockhausen-Stiftung für Musik. UrbanGlass: What are you working on this year as a part of your Studio Residency? 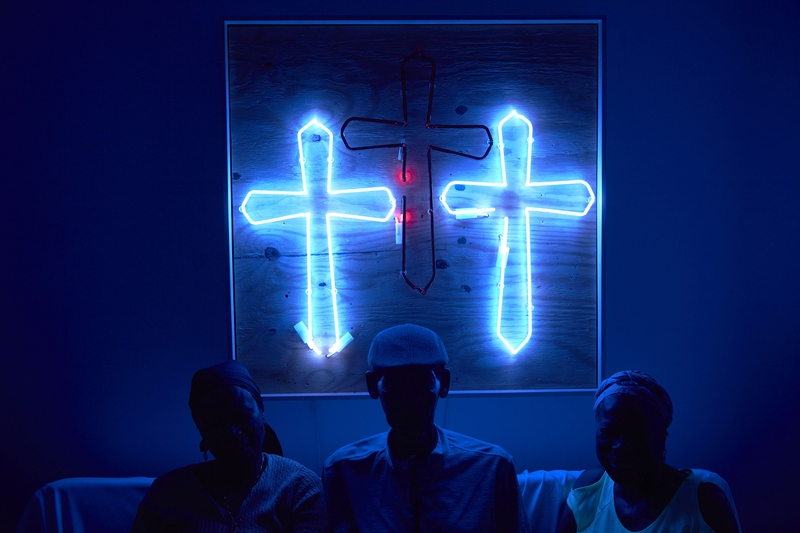 Russell: This year I’m working on creating narratives in glass, specifically neon, to document the history of my family and the black diaspora. It’s important for me to insert black culture into modern glass simply because there isn’t enough representation for us in this medium. UrbanGlass: How does this relate to previous work? Russell: Some days it’s similar to previous work while other days it’s more experimental. I would say the biggest difference is that I have UrbanGlass’ support with carrying out my ideas so, I’m thinking a lot larger in size. UrbanGlass: What other things do you have coming up? Exhibitions etc? Russell: I have some music releasing on NON worldwide and an upcoming exhibition in UrbanGlass’s gallery this year. Also, next year I will begin a master’s degree program at the Academy of Media Arts in Cologne.